Our tour starts at Belfast's former Harland and Wolff shipyard, where the original RMS Titanic was built between 1909 and 1911. 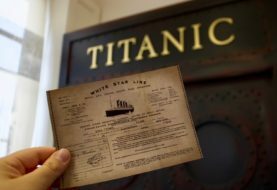 In 2012, exactly 100 years after the sinking of the original Titanic, the interactive museum experience Titanic Belfast opened its doors here. Ever since then, visitors can learn all about the construction, sinking and aftermath of the ill‐fated Titanic as they walk through the museum's nine differently themed exhibition areas. To get to Titanic Belfast you can book a guided one day tour or a 2‐Day Tour from Ireland's capital Dublin. Both of these tours will include other highlights of Northern Ireland, such as the beautiful natural attraction of the Giant's Causeway. The Irish town of Cobh was formerly named Queenstown and the last stop of the Titanic before she set sail for America on April 11, 1912. You can get a train from Dublin via Cork to Cobh, which will take about 3,5 to 4 hours. Pre‐Booking online through Irishrail is recommend as the train tickets get more expensive the closer you get to your departure date. From the train station of Cobh it's just a short walk to the Titanic Experience, where you will be led through several exhibition rooms with a guide. You will also see the original harbour front and departure point, where the last passengers of the Titanic waited to board the ship. Get yourself a "Heart of the Ocean" for 5 Euros! And while you're there already, don't miss the nearby Cobh Heritage Center. Focusing on worldwide Irish emigration, this museum also provides a lot of insightful information about the ships that left from here – including the Titanic. You can also join the Titanic Trail – a 1‐hour walking tour that provides even more insights about how the city of Cobh is connected to the Titanic and her former passengers. Statue of Irish emigrant Annie Moore and her two younger brothers, who were the first emigrants to arrive at Ellis Island, New York. This is, by the way, close to the spot where the Titanic saw land for the last time. For more info, check out the Titanic Experience Cobh and the Cobh Heritage Center. Orlando is not only a big playground for kids (after all, this is the home of Disneyworld), but also for adults (The Universal Film Studios are an awesome mix of a film studio and a fun park). So it only makes sense that there is a "walk through" Titanic museum here. Being shown around by a guide in a "Jack Dawson" costume and getting a picture at THAT staircase was a really cool time travel experience indeed! For more info, check out the Titanic Artifact Exhibition in Orlando, Florida. Both in real life as well as in the film, the Titanic departed from the harbour town of Southampton in the South of England. When I went to the The Grapes pub in Southampton, I was pretty sure that I had discovered the pub where Leonardo DiCaprio alias Jack wins two tickets for the Titanic at a game of poker. The interior just really reminded me of the pub scene. I even spotted a wall clock behind the bar that looked just like the one in the film! However, the actual filming location of the "poker pub" has never been revealed and it's probably more likely that the scene was shot in a film studio rather than a real pub. Plus, in contrast to the film, the real Grapes pub doesn't look out over the docks. The pub did, however, save the lives of four real life Titanic passengers. The brothers Bertram, Tom and Alfred Slade as well as crew member Alexander Hooper all missed the Titanic's departure in Southampton simply because they had been drinking for too long at the Grapes. Southampton also houses the SeaCity Museum, where you can learn more about Southampton's connection to the Titanic. Around the time Titanic was released in cinemas, there was a computer game that simulated actually walking through the Titanic yourself. Back then, I always thought: If you could ever do that in real life, how awesome would that be? After several failed attempts to create a real‐size replica of the Titanic, it has now been revealed that the "Titanic 2" built in Nanjing, China, is almost finished! Its maiden voyage from Dubai to Southampton and then on to New York (the original route that the real Titanic took), is set to take place in 2022. In terms of the interior design, the Titanic 2 will look the same as in year 1912. There will also be three distinctive classes (first, second and third). 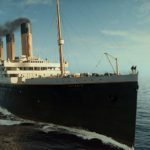 In contrast to the original, however, the Titanic 2 will feature modern technology and lifeboats that are sufficient for all passengers on board. So that's quite reassuring. 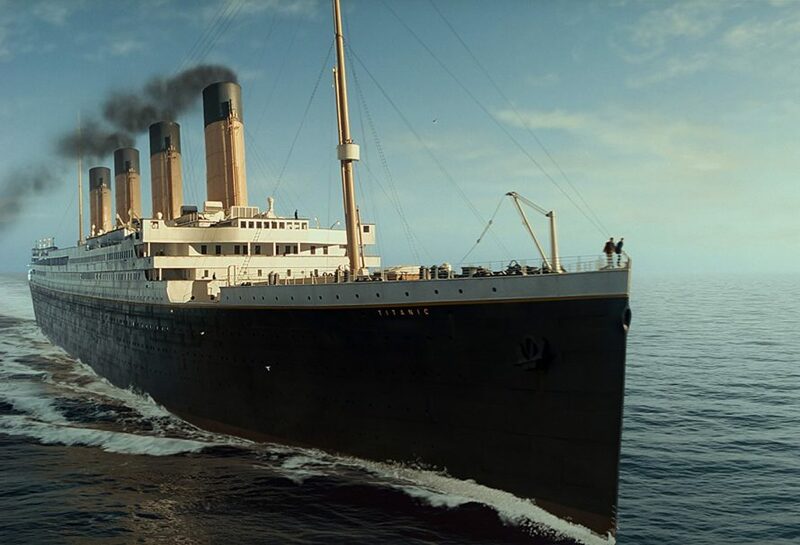 Apparently, Titanic 2 will also feature a camera at the bow of the ship, so that the passengers can recreate that famous "Jack, I'm flying" scene. Over to you: What are your tips for Titanic museums and experiences? And would you dare to go on the replica? Let me know in the comments below! Disclaimer: This post includes affiliate links GetYourGuide.com. If you book any of the mentioned experiences through such an affiliate link, I will receive a small commission fee.